We buy used cars for cash in Honolulu, and are always interested in the latest car news. Recently the top nine vehicles of 2016 were revealed; all will be contending at the North American International Auto Show in Detroit this coming January for top car, truck, and utility vehicle. Among the 2016 utility vehicles, contenders include the Jaguar F-Pace, Chrysler Pacifica, and Mazda CX-9. This category consists of minivans, crossovers, and full-sized SUVs. In the car category, top contenders include the Chevy Bolt EV, Volvo S90 sedan, and the new Hyundai luxury car kicking off the manufacturer’s new luxury division, the Genesis G90. If you’re a pickup person, three 2016 models will be competing for truck of the year at the show including the Honda Ridgeline, Nissan Titan, and Ford F-Series Super Duty. It will be fun to see which vehicle wins in each of the categories! Are you deploying and looking to sell your used car for cash in Oahu? If you’re in the military and leaving the island, we take some of the pressure off by buying used trucks, cars, SUVs, and vans. No hassles, and most customers get cash for their vehicles the same day they bring them in. Think of all the time and effort you’ll save by working with professionals who have been in the business for nearly a quarter of a century! At CarMark Hawaii we buy good used cars from those in the Honolulu area, whether you’re a civilian or stationed at JBPHH. 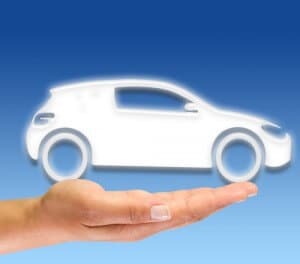 Regardless of why you’re selling, if your vehicle is a 2007 or newer model, has a straight body, and 100,000 or fewer miles, we can work a deal! Leave with cash in hand for your used car. Give us a call today.